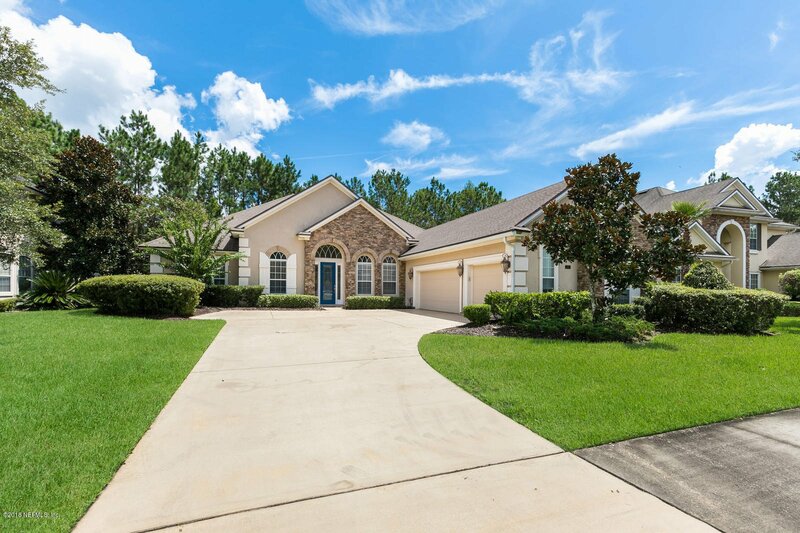 Executive home in a gorgeous golf course community w/outstanding amenities. The curb appeal of this home will stop you in your tracks! Once inside the luxury features will wow you! The formal dining & living room is spacious & inviting. Perfect for entertaining. Flex bedroom suite has 2 rooms perfect for in-law, office/bedroom/teen room/playroom. Master suite has trey ceiling, 2 closets, & glamour bath w/large shower & soaking tub. Bonus room has balcony (bookcase is a murphy bed). Chef's dream kitchen has island, granite, double ovens, under cabinet lighting, upgraded cabinets. Open concept, w/a huge family room & nook. Light & bright-large windows overlook the private preserve. Entertain on your back screen lanai, w/bar, firepit, jacuzzi. New AC compressor. 30yr architectural shingles. Listing courtesy of BETTER HOMES & GARDENS REAL ESTATE LIFESTYLES REALTY. Selling Office: ERA DAVIS & LINN.